Why I decided to go with the Sirui P-204S 63″ 4-Section Aluminum Monopod($160) and the Manfrotto MVH500AH Flat Base Pro Fluid Head($162) combo, total cost is $322. Static shot: all you do is lock the feet’s ball joint and its pretty stable in wind less than 15mph. Low static shot: the bottom foot became a small tripod when disconnect it from the rest of the body. Crane shot: all you do is extend the monopod and grip it with both hands and arm, than move your torso up and down slowly. Great for crowd shots. 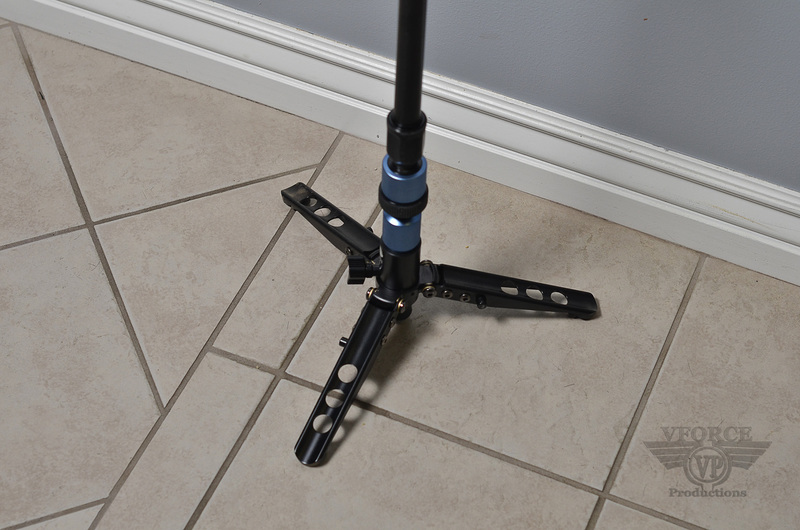 Dolly shot: put your foot on the monopod feet, than move in or out of the subject. Spinning-revealing shots, looking down. On a table or chair, spin on the axis while filming downward. Small and compact. Your arms doesn’t get tire, since it has feet. 1. Manual focus: have to focus by hand. Overall: steady shots and a lot more option for creativity. Dolly shot. 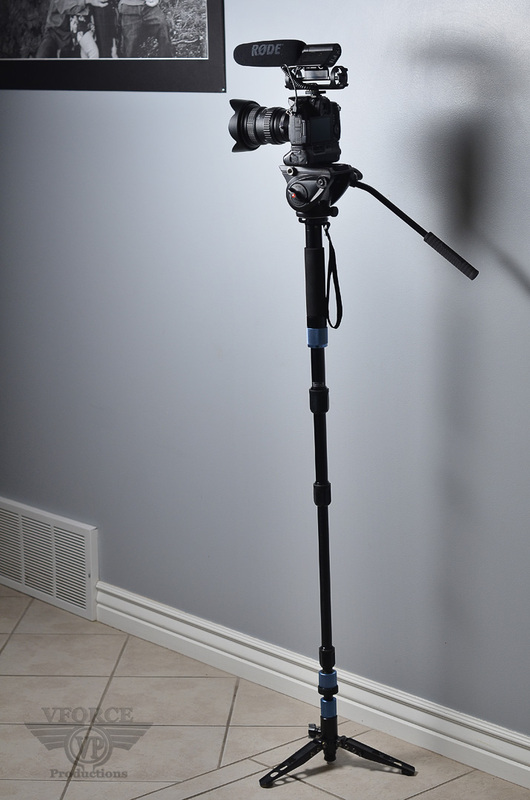 Using the Sirui P-204S Monopod with the Manfrotto MVH500AH Fluid Head. Spinning- reveal shot. 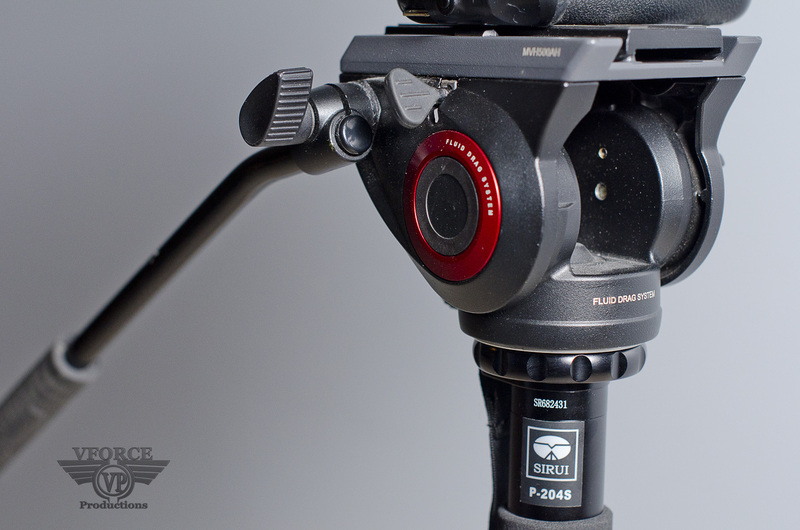 Using the Sirui P-204S Monopod with the Manfrotto MVH500AH Fluid Head. I shot this whole event using the monopod. 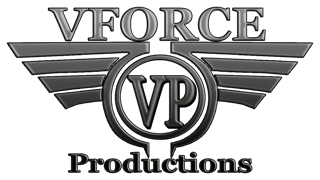 Redemption Church Baptism from VFORCE PRODUCTIONS on Vimeo. Manfrotto MVH500AH Fluid Head is so smooth! I love the quick release plate. It comes off on a slight angle instead of the old fashion sliding style. It also come with a tilt drag control knob. 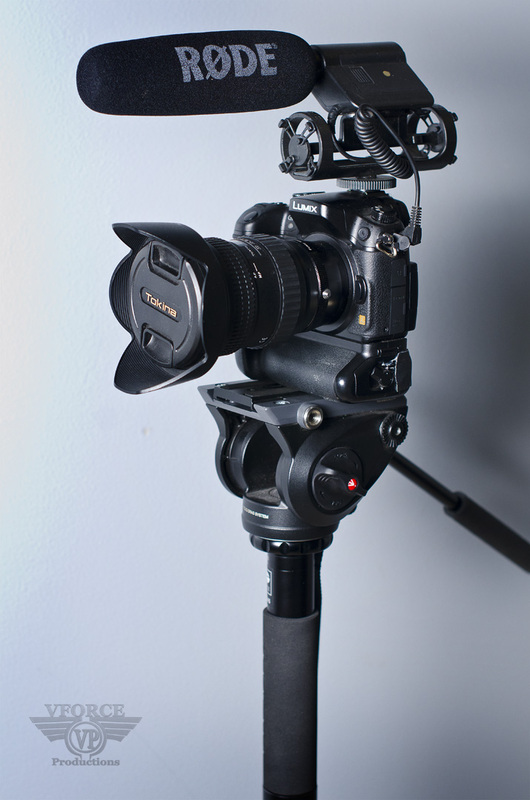 I think this Manfrotto fluid head will move your video to the next level! It has a professional feel to it. 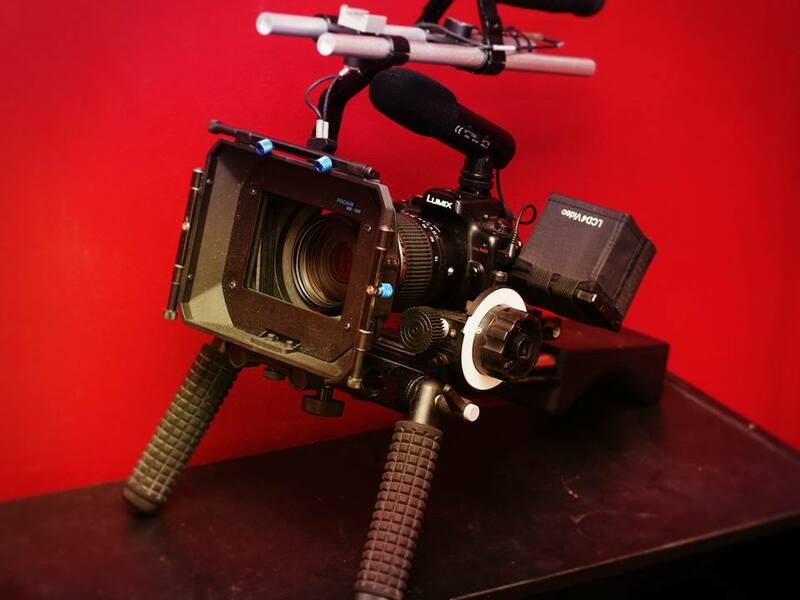 Shoulder rig, Battle Tested Film Gear 954-Kit-6-CF Proaim DSLR Filmmaking Kit $1000. Static shot: is kind of shaky like news style. Low shot: use the top handle. Very maneuverable: run and gun style. nice smooth focus: using the follow focus system. Heavy: Your shoulder and arm/elbow gets tire after 2 hours of filming. Limited on your shot choices. Overall: Heavy, news style shaky shots. 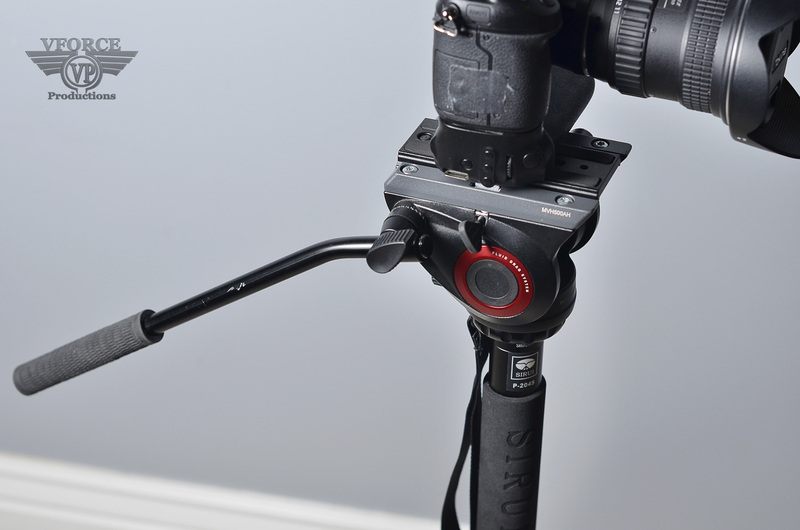 Conclusion: Hopefully this answers the question, “Why the Sirui P-204S Monopod is more flexible than a shoulder rig?” But there is also a place for the shoulder rig. I used it during an action follow sequence to give the feel of real stress war-time situation or during a new style interview. So different gear for different situation, but the Sirui P-204S Monopod just have more shot choices and a lot more affordable. This is my favorite setup so far, you can also fold-up the legs and take it with you on travel. I’m taking this with me where ever I go!